“The AMA’s sUAS program website is an important tool for keeping our fun and educational hobby safe for everyone." The Academy of Model Aeronautics (AMA) is proud to announce a new resource available for all sUAS users. 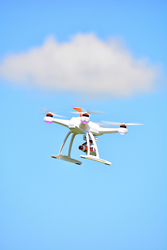 The website helps the new drone pilot understand WHAT to Know Before You Fly: suas.modelaircraft.org. Share personal drone zone stories and experiences. The user is now the Pilot in Command – take charge of being informed! Visit suas.modelaircraft.org to get started. The Academy of Model Aeronautics, founded in 1936, continues to be devoted to national airspace safety. It serves as the nation’s collective voice for approximately 187,000 modelers in 2,400 clubs in the United States and Puerto Rico. Headquartered in Muncie, Indiana, AMA is a membership organization representing those who fly model aircraft for recreation and educational purposes. For more information, visit http://www.modelaircraft.org.